In the ocean they have no rival and on cable they have their own week. Our fascination with sharks has given filmmakers endless opportunities to prey on audiences' fears, turning this oft-misunderstood prehistoric species into a bloodthirsty killing machine (even if you're not in the water). 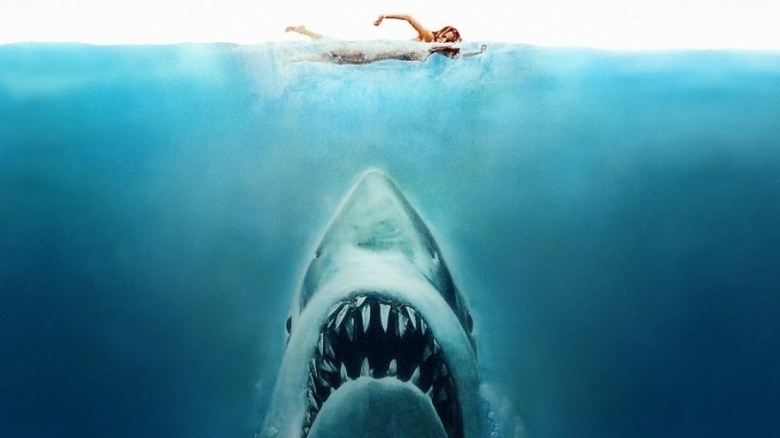 Sharks in the desert, sharks in space, sharks in a tornado, or sharks who come back from the dead to haunt you in your backyard—shark movies are now firmly embedded as their own subgenre, as well as in our psyche. And with 2016's The Shallows dropping this summer, the feeding frenzy on your dollars is still going strong. Let's take a look, in no particular order, at some of the best (for better or worse) movies starring Hollywood's favorite maneater. If you were a teenager in a movie, why would you ever go to a lake? 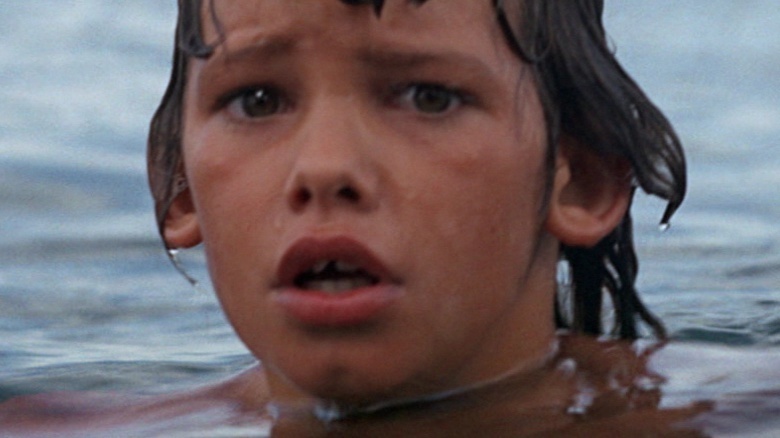 Nothing good ever happens there, especially when you're trapped on an island with no cell service and your ex-boyfriend and his buddy fill the water with sharks so they can film the carnage. Some neat twists, slick production values for the genre, and Sara Paxton and Katherine McPhee in bikinis were ultimately sunk by a PG-13 rating and near comical death scenes—but hey, at least the dog survives. The premise? Pure nightmare fuel. A couple on a scuba diving vacation are accidentally left behind (with a lot of sharks) when their boat crew forgets about them. 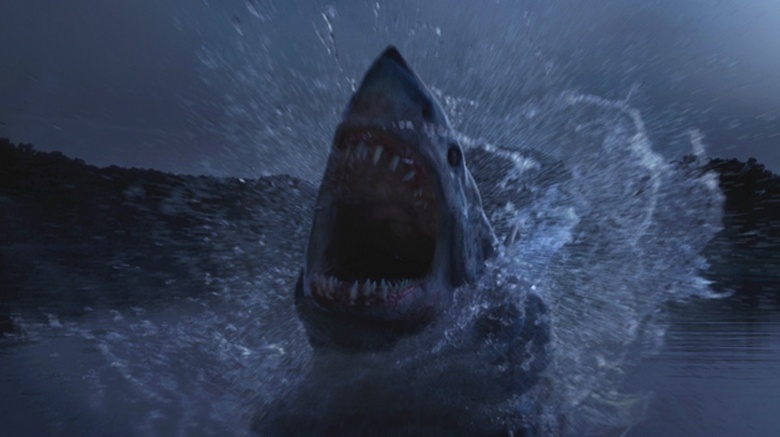 While the film is more of an exercise in psychological horror and focuses on the broken relationship between the two main characters, the constant and palpable fear that a shark may strike at any time makes Open Water one of the most terrifying shark movies in recent memory. The only happy ending? It made ten times more than its $500,000 budget. The only documentary on our list, Blue Water, White Death follows filmmaker and underwater photojournalist Peter Gimbel's arduous nine-month trek across the globe to capture a great white shark on film for the very first time. And where did he find one? Right where he probably should have started: South Australia. With spellbinding footage, Gimbel shows us the legendary great white in their full (and terrifying) glory. Fun fact: Crew members Ron and Valerie Taylor provided Steven Spielberg with great white footage for Jaws. If you can ignore a premise that involves scientists thinking Mako sharks sound like the best cure for Alzheimer's disease (sharks' brains don't age? 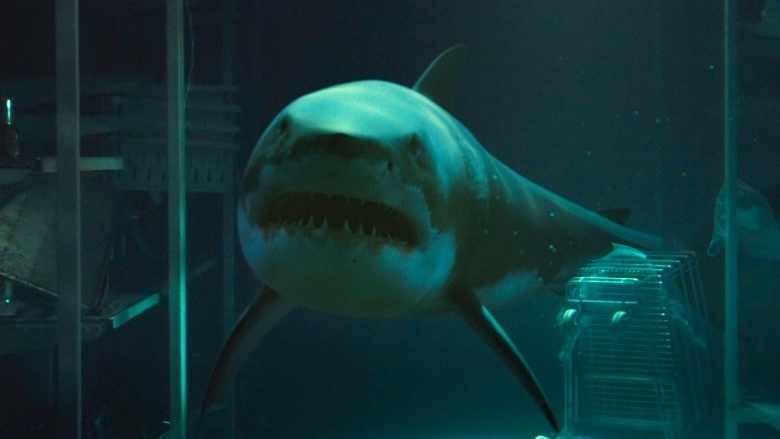 ), you can appreciate this outrageously fun B-movie about genetically altered super-smart sharks going HAM in an underwater research facility. And if that wasn't enough for our team of scientists to worry about, the screenwriters threw in an impending hurricane just because. Boasting incredible CGI for its time and Samuel L. Jackson chewing up all the scenery the sharks left behind, Deep Blue Sea has earned cult classic status. You have to at least give the Australian production Bait a few points for originality. The last thing you'd expect after a freak tsunami is sharks swimming down the frozen food section at your local grocery store (which by some miracle still has electricity), yet here they are—and they're the most believable thing in the movie. You can tell everyone involved really tried to make something serious here, but how serious can it be when the hero takes out a great white with a taser? This would probably be considered a classic by now if the filmmakers had been a bit more self-aware and called it Sharks in a Grocery Store. Chalk that up to a missed opportunity, and if a group of mildly annoying survivors trapped in a supermarket with sharks is your thing, be sure to add this to your queue. Don't be too hard on Australian shark flicks. 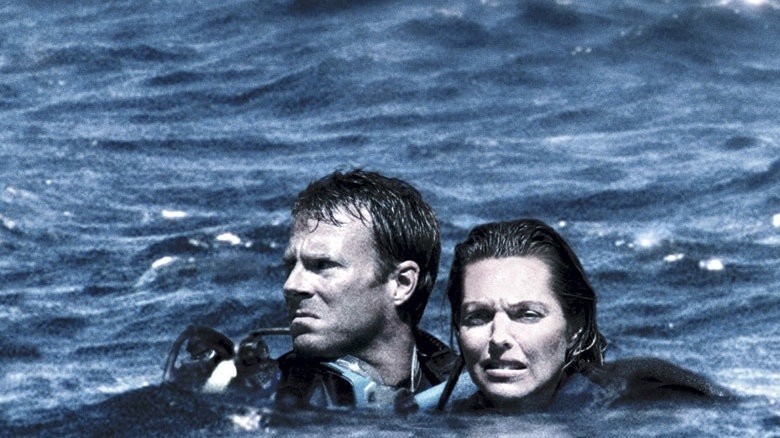 2010's The Reef proved you don't need a big budget or a convoluted plot to give your audience legit scares. The tale of five friends who set out for Indonesia only to capsize on a reef is an exercise in hopelessness. Do they stay with the boat and risk the very real possibility of dying of thirst and exposure, or attempt swimming to shore in shark-infested waters? 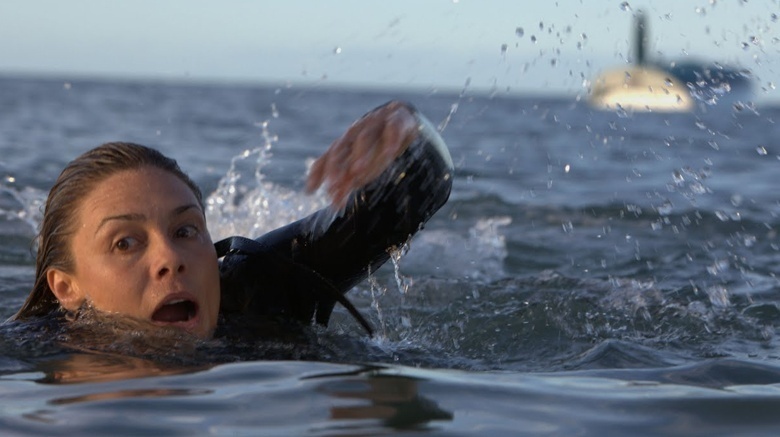 No unnecessary CGI, no cliched tropes, just people in the water…slowly being eaten alive, one by one. "Just when you thought it was safe to go back in the water"—now that's a tagline for a sequel. A sequel, we might add, that Roy Scheider only agreed to star in to get out from under his contract with Universal. It's debatable whether even Spielberg could have saved this script (you'd think Amity's mayor would be more inclined to listen to Police Chief Brody when he cries "shark!" 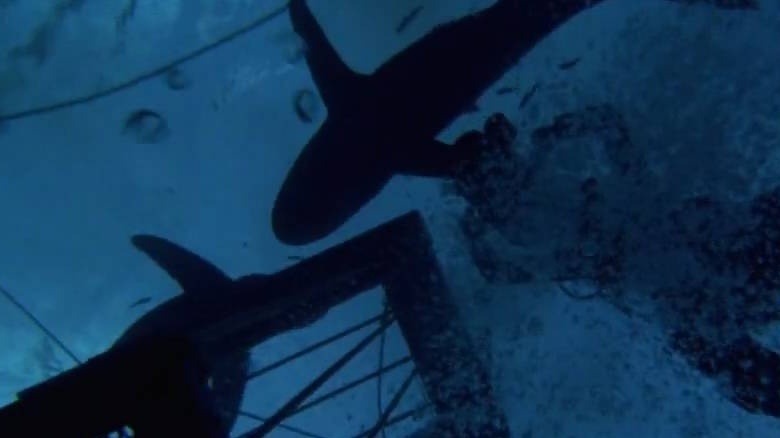 this time around), but it does offer up some scary moments, as well as perhaps the greatest shark electrocution death scene in movie history. (Not that there are too many to choose from). Real-life events can be difficult to dramatize, but the true story of surfer Bethany Hamilton getting her left arm ripped off by a tiger shark, and her subsequent struggle to surf again, was a story made for celluloid. Based on Hamilton's 2004 autobiography Soul Surfer: A True Story of Faith, Family, and Fighting to Get Back on the Board, it didn't blow critics away, but found a home among audiences who like their shark attacks with an inspirational message of hope. No surprise seeing this one on the list, right? Syfy's Sharknado knows full well that it's a movie about a shark tornado and doesn't let off the cheese brake for a single frame. 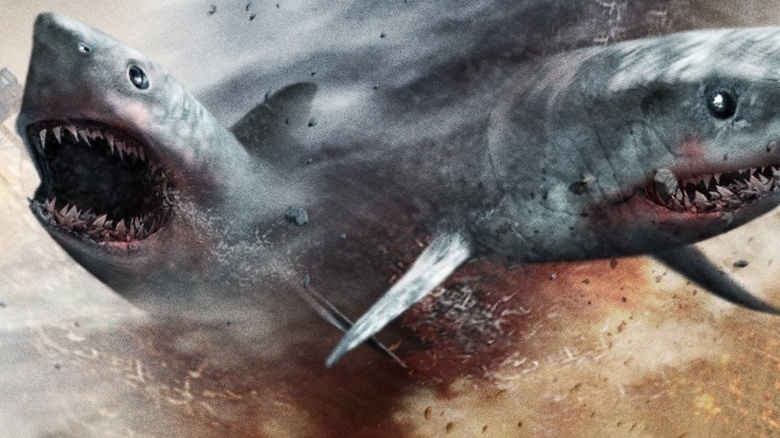 In between the actors winking at the camera, Sharknado gives you some of the most outrageous and over-the-top sharks to ever hit the big screen. Running down the B-movie checklist (and marking off many items more than once), this movie almost achieves art with the glorious lengths it takes to not take itself seriously. The dialogue is almost as bad as the color correction, the character development is more unbelievable than the plot, and the CGI is almost as painful as the one-liners. But you know what? It works. It delivers in every way possible. If you don't like Sharknado, you don't like fun. Regardless of the fact that this list is in no particular order, let's consider this a case of saving the best for last. The opening sequence of Steven Spielberg's Jaws boasts the most terrifying shark attack ever filmed…and you never even see the shark. The sense of building dread as you watch Police Chief Brody try, and repeatedly fail, to convince officials in his coastal town to close the beach during peak tourist season is enough to make you never want to set foot in an ocean again. John Williams' score will make you pause before entering a pool. We won't even mention the classic lines, because you know them all. 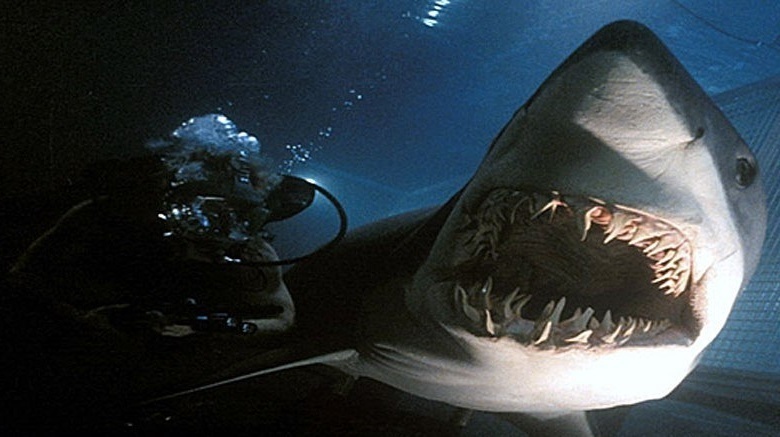 Jaws, without a doubt, is the greatest shark movie of all time—past, present, and future. Maybe it's time we stop making them. After Sharknado 4, of course.